Pre-registration closes Friday, May 20. Race-day registration opens at 5:30am. The Napa Valley Off-Road Triathlon will take place on the campus of Pacific Union College. The run portion of the adult races will take place on surface streets and dirt trails and service roads with double and single track. The Kid’s Triathlon run will take place on paved athletic track. The bike course is 10 miles in length for the Triathlon, and 5 miles in length for the Beginner Triathlon. Incredible dirt trails and service roads with double and single track make this an exciting feature of the Off-Road Tri. The Kid’s Triathlon bike course is .5 miles in length and will take place on a paved athletic track. The swim portion of the race will be held in Pacific Union College’s Hansen Memorial Pool. Lifeguards will be ready to direct you. The adult race will complete a 150-yard swim following the indicated path for swimming. The kid’s race swim is 25 yards. 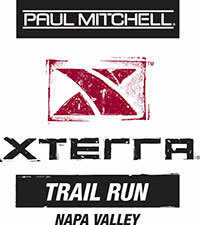 All participants will receive official finish times. Finisher medals will be given to all participants. Three-deep medals will be given in age divisions. Please park in designated parking areas found in the vicinity of the event venue. 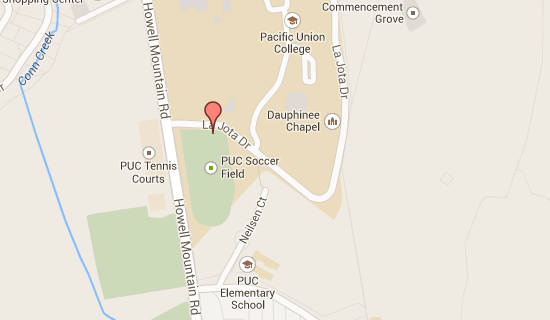 Pacific Union College is located approximately 30 miles north of Napa, Calif., in the town of Angwin. View directions and a map to campus. Clínica Verde, meaning “Green Clinic,” is a nonprofit charitable organization formed to build and assist sustainable health clinics that improve maternal and infant healthcare, beginning in Nicaragua. We promote socially responsible design and green technologies in the developing world while creating health partnerships with communities in need. Learn more at www.clinicaverde.org. Pacific Union College, located in California's Napa Valley, is a four-year liberal arts college accredited by the Western Association of Schools and Colleges. Founded in 1882 by the Seventh-day Adventist Church, PUC offers a Christ-centered undergraduate education that prepares its students for productive lives of useful human service and uncompromising personal integrity. The college's overall program, with a full lineup of bachelor's degrees, is frequently ranked among the region's top baccalaureate colleges. St. Helena Hospital is part of Adventist Health, a faith-based, not-for-profit integrated health care delivery system serving communities in California, Hawaii, Oregon and Washington. Our workforce of 28,900 includes more than 21,200 employees; 4,500 medical staff physicians; and 3,200 volunteers. Founded on Seventh-day Adventist health values, Adventist Health provides compassionate care in 19 hospitals, more than 170 clinics (hospital-based, rural health and physician clinics), 14 home care agencies, six hospice agencies and four joint-venture retirement centers. We invite you to visit www.sthelenahospitals.org for more information.